I satt in the rain and waited for someone to step out over the puddle, eventually a man with an umbrella came. 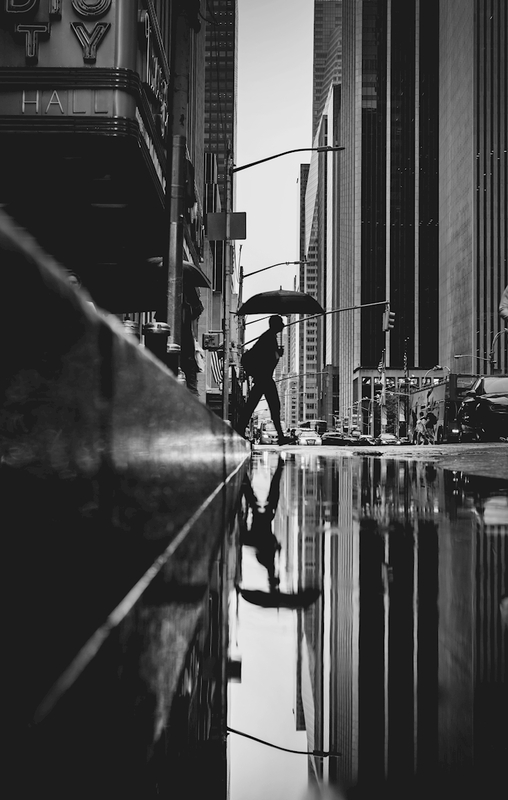 A beautiful black and white art print of a man with an umbrella walking in a bug puddle, in a big city. The cities reflection in the puddle creates and interesting perspective with cool horizontal lines. The perfection addition to your decor if your looking for an black and white poster for your living room wall.